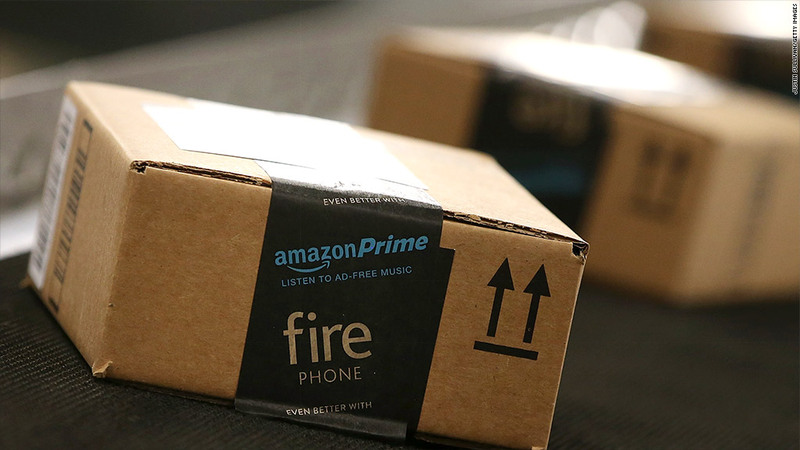 Amazon's (AMZN) stock surged more than 10% Friday following its blockbuster earnings report. It actually posted a profit! The online retail giant's market value is about $250 billion. 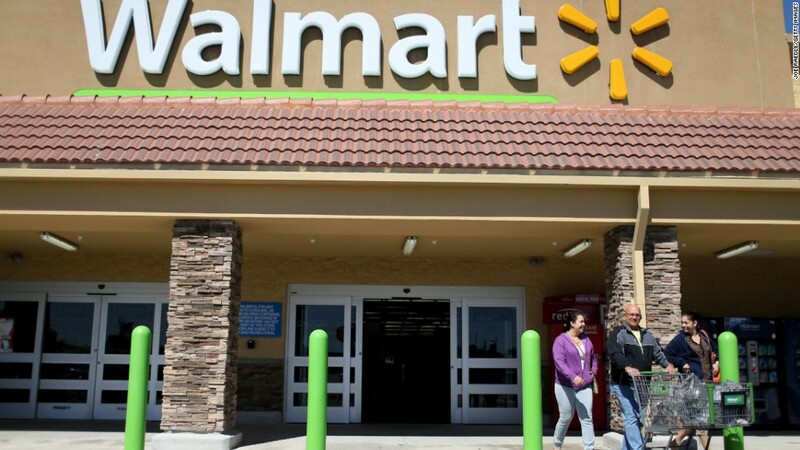 Walmart (WMT) is worth a little more than $230 billion. Amazon is now the most valuable retailer in the world. Another stunning stat? Amazon's market value is about five times higher than Target's (TGT)! It's an amazing feat for Amazon -- which is still a relatively young company. It just celebrated its 20th anniversary. Walmart has been around since 1962. Amazon is the undeniable king of e-commerce. Walmart is trying to catch up. The two went head-to-head (click-to-click?) last week when Amazon offered huge discounts for its Prime members. Walmart countered with rollbacks and "atomic" online deals of its own. There was a significant social media backlash to Prime Day. Consumers complained about the quality of merchandise that was on sale and the fact that many "Lightning" deals forced people on to waiting lists. Amazon had the last laugh. The company said that sales on Prime Day did wind up topping Black Friday. And Amazon is expecting to report a jump in new Prime members (who pay $99 annually) in the third quarter. Walmart obviously needs to do even more digitally to keep pace with Amazon. Investors are clearly willing to pay a premium for companies that are dominant online. Amazon's stock is up more than 70% this year and trades at an insane valuation of nearly 200 times 2016 earnings estimates. Walmart's shares have fallen 15% and trade for just 14 times next year's profit forecasts. Heck, Walmart could fall behind Alibaba (BABA) again if its stock keeps slipping. China's e-commerce king has a market value of about $212 billion. Alibaba's market value actually was higher than Walmart's briefly last year following its initial public offering. Related: Amazon or Walmart: Which stock is the better buy? But back to Amazon. It is now the eleventh most valuable company in the blue chip S&P 500 index. Amazon is now worth just slightly less than JPMorgan Chase (JPM) and General Electric (GE). Amazon is also within spitting distance of Facebook (FB) and Johnson & Johnson (JNJ). They are both worth more than $270 billion. And Amazon CEO Jeff Bezos is going to move up the billionaire rankings as well, thanks to his stock's surge. Bezos was already worth $43 billion as of Thursday, according to Bloomberg. That made him the 7th richest person in the world -- quite a bit wealthier than the various heirs of Walmart founder Sam Walton. He could pass the Koch brothers -- industrialists who are each worth about $50 billion -- to move up to 5th place if Amazon's stock continues to soar. So it looks like Facebook's Mark Zuckerberg -- who was only trailing Bezos slightly in the billionaire rankings earlier this week -- is going to have to wait a little longer before he passes Bezos.